Green Alliance Annual Debate 2018: How will climate ambition define Britain’s role as a global player in the 2020s? 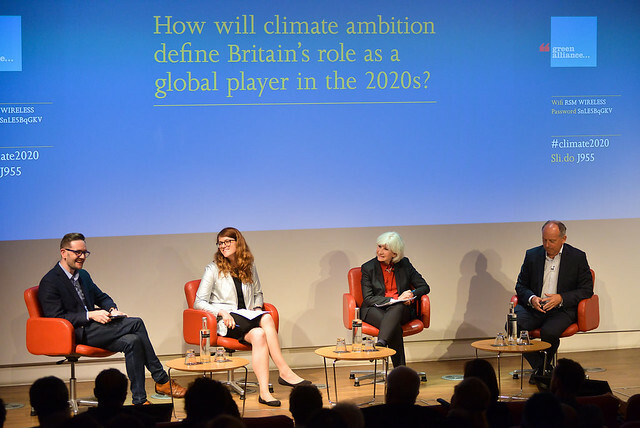 How will climate ambition define Britain’s role as a global player in the 2020s? Our 2018 annual debate took place on 29 May with the keynote speech by Laurence Tubiana, CEO of the European Climate Foundation. Laurence played a central role in reaching the 2015 Paris climate agreement as France’s climate change ambassador. She gave her perspective on global climate action/politics and the need for continuing UK leadership. The keynote speech was followed by a panel discussion and a question and answer session, chaired by Newsnight’s Evan Davis. See photos of the event and the event summary.